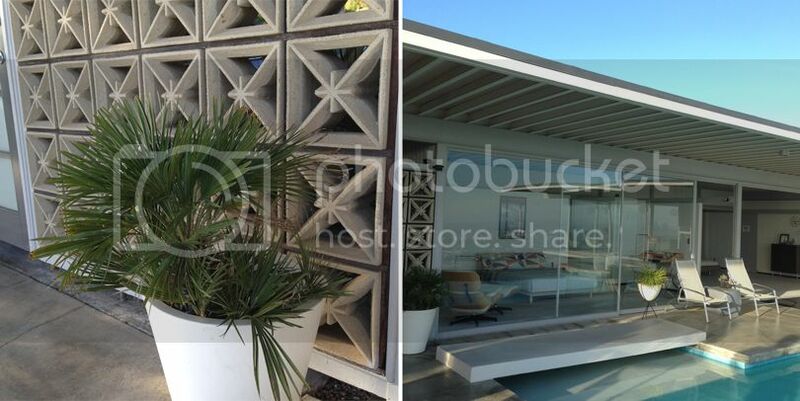 A couple of weeks ago I was in Palm Springs for Modernism Week's preview weekend. 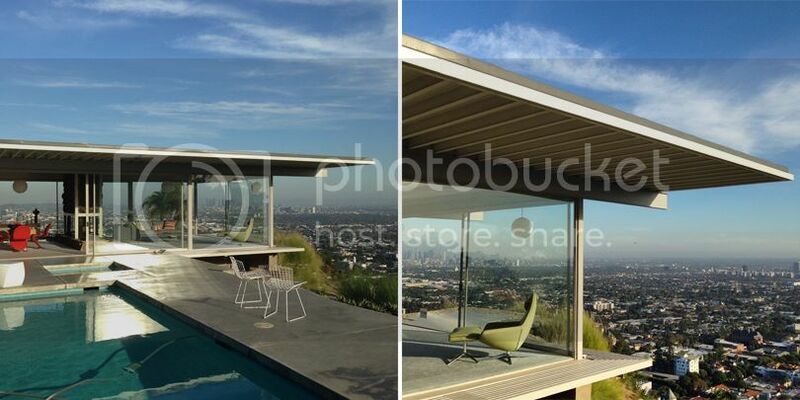 Both of my sisters joined me for the semi-work/semi-vacation trip and we scheduled a visit to the much-adored, Stahl House in Los Angeles. 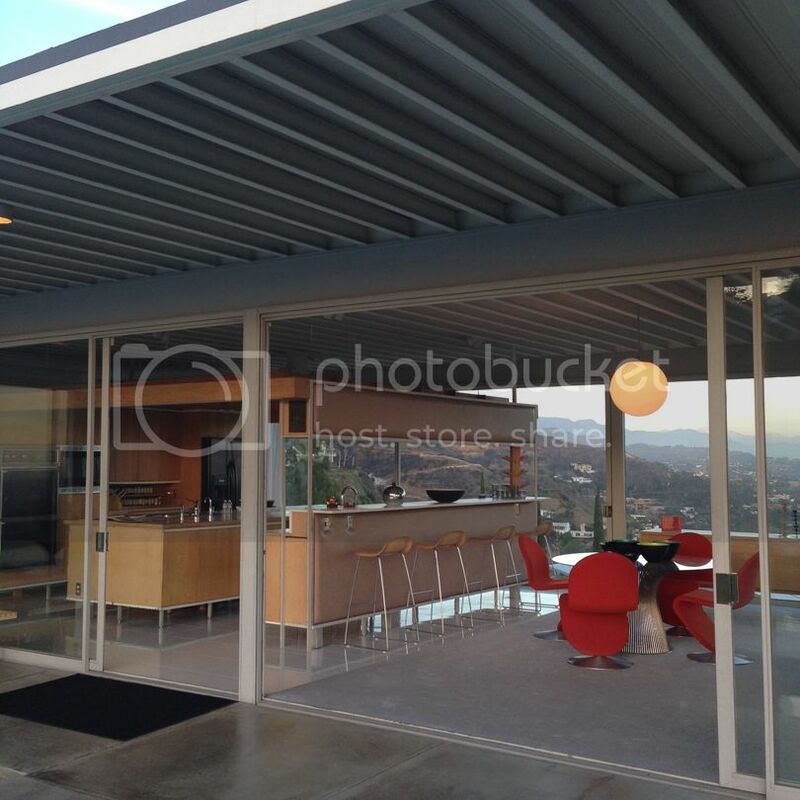 Victoria and I had the opportunity to visit Case Study House #8, The Eames House, in June of 2014, so we made it a priority to get up to Los Angeles while we were on the west coast to see Case Study House #22. We arrived ahead of schedule and grabbed some mochi at Trader Joe's before heading up the hill to park inside their carport. It gave me a bit of time to admire the unique breeze block pattern with teak wood used between blocks instead of mortar. We had a few others join us on the tour - I think there were 15 people in total, but the group of eight was running late, and left before our hour-long time frame was up. Our docent, Scott, was on hand to give us some history on the house & family, and also tell us what the plans are to continue restoring the property, which the Stahl Family still owns today. It was close to 100* that day, and this pregnant lady wanted to "accidentally" fall into the pool to cool myself off! Just a note - no "real" cameras are allowed on the property (unless you're a professional who has set up an approved photo shoot), so these are all iPhone photos . When the door from the carport opens, and you walk thru the breeze block entryway, it's literally jaw-dropping; I couldn't believe how gorgeous it was from up there! You walk right into the pool area, and the house is an "L" shape which all opens up to the pool. When we arrived it was full sun, but as you can tell from the photos below, it gets darker as we are there. I asked Scott if he could turn the giant globe lights on, which was no problem. If you're ever in the area, or possibly live in the area and have NOT be there, go. No excuses. It's $35, which goes to funding future restorations on the property. 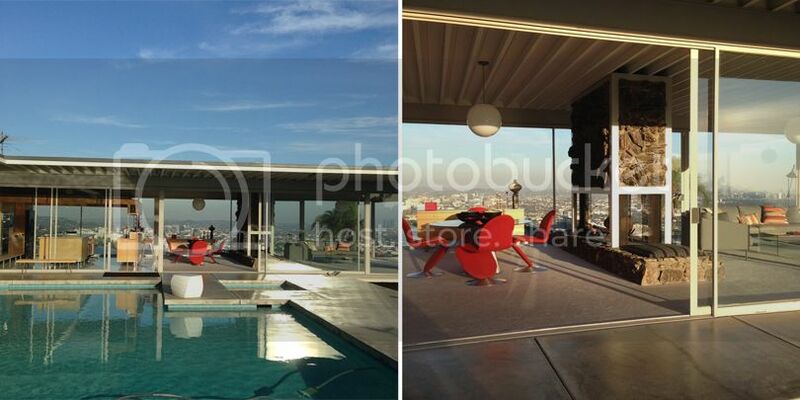 More info on the Stahl House website here. 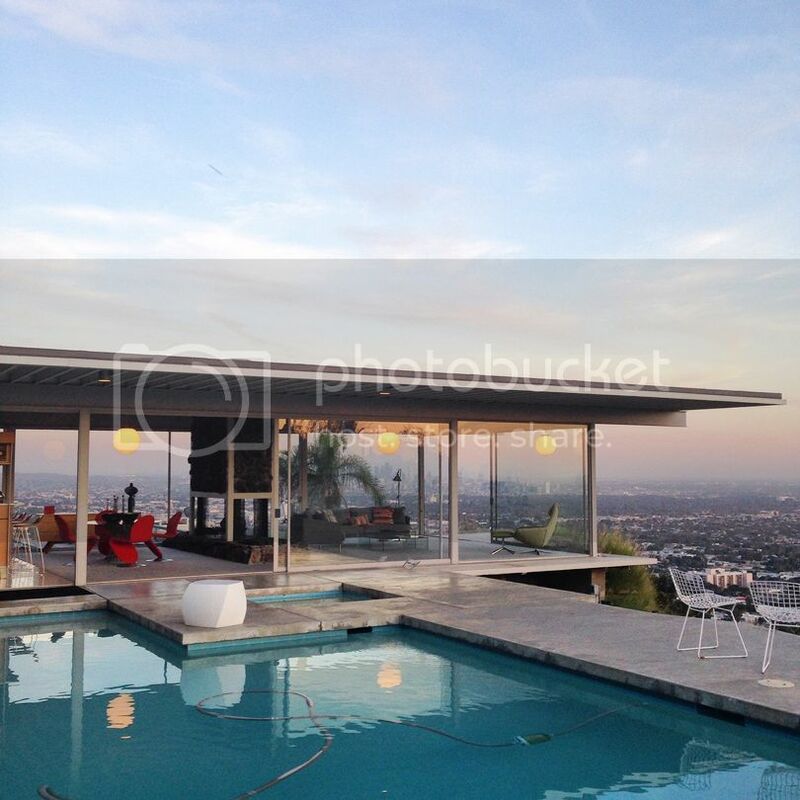 Now, here are my photos I snapped to capture the home, the pool, and the views from the Hollywood Hills! The breeze blocks were such a great feature on either side of the entry door from the carport. The amount of glass sliders used was quite unbelievable! I personally loved the plywood kitchen & peanut brittle fireplace - two features most people would "update" in a home today. 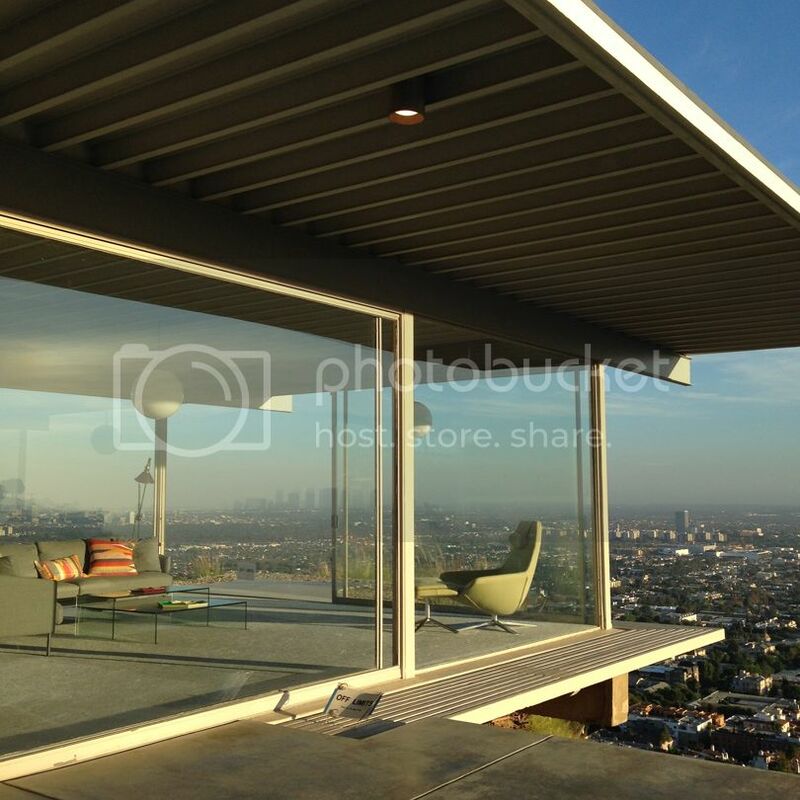 The views of downtown L.A. are insane. A better view of the kitchen & dining area. The famous corner of the home - probably the most photographed My sister, Victoria, 'gramming a sweet photo, I'm sure. Then I asked her to look natural, and then I asked her to laugh - love this serious of her. A panoramic view of the house. Just stunning with those globes on! It was SUCH a fun time.